The class of 3V welcomed Helen Glynn from Team Hope to the school on October 18th as part of their CSPE Action Project. Team Hope is an Irish, Christian development aid charity, working with children, and through them, into their families and communities mainly across Eastern Europe and Africa. 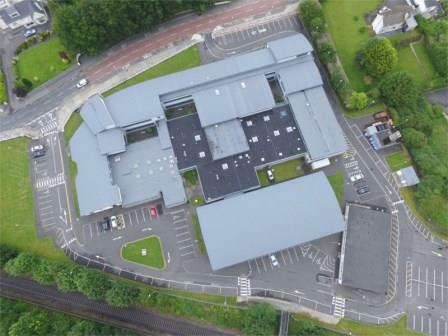 Best known for their Christmas Shoebox Appeal, the charity also help children all year round through a variety of community development projects. Helen spoke to the girls about the vision of the charity and how they work with anyone, irrespective of race, religion, ethnicity or background, believing that everyone in need is equally deserving of receiving help. 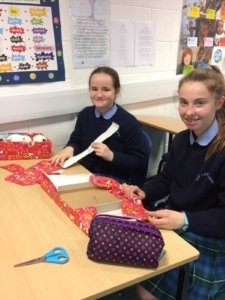 The charity will give our school’s Christmas shoebox gifts right into the hands of some of the world’s most vulnerable children – many of whom will receive no other gift this Christmas. For some it’s the first gift they’ve ever received. 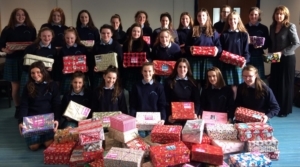 3V would like to thank all who donated and the classes of 1A and IX for helping to fill shoeboxes with some lovely gifts, which will bring happiness to many children this year.